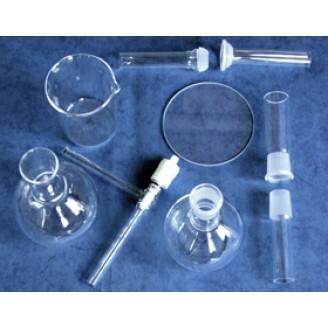 Robson Scientific manufacture and supply products from clear fused quartz with a nominal purity of 99.995% SiO2. Our experienced glassblowers produce quartzware to our customers precise specification. Products are supplied to the semiconductor, fibre optic, water sterilisation, optical, lamp and chemical industries. Our high quality quartz glass components are well regarded and widely used throughout the glassblowing fraternity.